Online gaming is huge and many players enjoy a bet at the same time. Online casino gaming is at the forefront of gaming entertainment right now, with Blackjack being one of the most popular games available. You can play Blackjack online on one of the many casinos available. It is thought that Blackjack originated in France in the eighteenth century, though it was called ‘Vingt et Un’ which quite simply means twenty-one. It has evolved over the years and online Blackjack can be enjoyed in a variety of ways, including single-hand and multi-hand games. This article will explain how you can enjoy this exhilarating game online, as well as detailing some tips for winning. Make sure you choose a reputable casino, for it is no good investing time and money into one that either refuses to pay out or folds completely. A good online casino will feature a variety of games to play, including more than one Blackjack game. Look for decent bonuses on offer and some excellent welcome gifts, such as a number of free turns or great bonus features during the game. Make sure the casino is regulated and has a licence to operate. You should be able to find this information on the website, with it usually located at the bottom of the home page. This might seem like a silly statement, for you’re reading an article about Blackjack because you’ve already chosen that’s the game you want to play. However, there are different types of online Blackjack games to choose from. There are American and European versions available, classic games, single deck and multi-deck versions, to name the most popular choices. It is important that you research each style of game and decide which is best for you. Which one will you enjoy the most and do you understand the rules properly? If not, you will struggle to win! Before you start playing, and especially before you part with any money, make sure you read and understand all of the rules for that particular game. Only that way can you really strategize, enjoy it and win. 1. How much can you win? 2. When can you split your cards? 3. 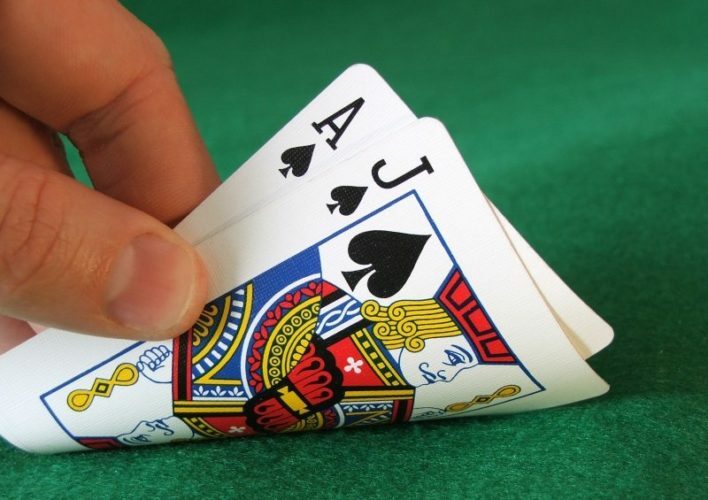 Can you double after splitting your hand? 4. How many decks are you playing with? 5. Can you hit split aces? 6. Does the dealer hit a soft seventeen? 7. Can you surrender and when? Sometimes online Blackjack games can be called the same thing but have different rules, so be cautious and don’t assume you know what you’re doing each time. The house edge is what statistical advantage the online casino has over the player, being the difference between the pay-out and the wager in the long run. The house will always skew games in their favour, so it is important to know what your chances are before you play. Look for casinos offering the most favourable house edge and giving good payouts. Before you start playing with your own hard earned money, it is advisable to practice first. Find a free version of the game, sometimes a demo mode is available, so you can get to know the game and practice your strategy without losing out in the process. A is for Ace. This card can count as either 1 or 11 and it is your choice which one you go with. B is for Bust. If you go over 21 points, you lose. Or as we say in Blackjack, you bust. You can no longer carry on and you lose your chips. D is for Deal. You press the deal button to start the game, with cards then being dealt to you as you go. Once the cards are dealt, you can no longer withdraw your bets. F is for Five Card Charlie. If you end up with 5 cards in your hand without busting, you have what is known as a five hand Charlie. H is for Hit. You will press hit when you want the dealer to deal you another card. There is no limit to the amount of times you can hit, as long as you don’t bust of course. H is also for Hold. This is what you press when you don’t want any more cards dealt to you and the number of points you have will be what you challenge the dealer with. S is for Split. When you are dealt two cards which are the same rank, such as two 10s, you can split them and play two separate hands. You must match you initial bet for the second hand also. S is also for Surrender. You can choose to abandon your hand and recover half of your original bet, known as surrendering your hand. U is for Upcard. This is just the dealer’s card which is upturned on the table. You may have heard of ‘counting cards’, thanks to films such as Rainman and Oceans Eleven. However, you can’t do this while playing online casino games, due to the computer ‘shuffling’ the cards every time. This means each new hand starts again, so you can’t ever predict what cards are coming up. So now you know the language and have found the right casino and game for you, you are ready to play. Remember to bet responsibly and you can enjoy playing time and time again.